It’s nearly prune harvest time again, and in the Lot-et-Garonne, this is serious business! 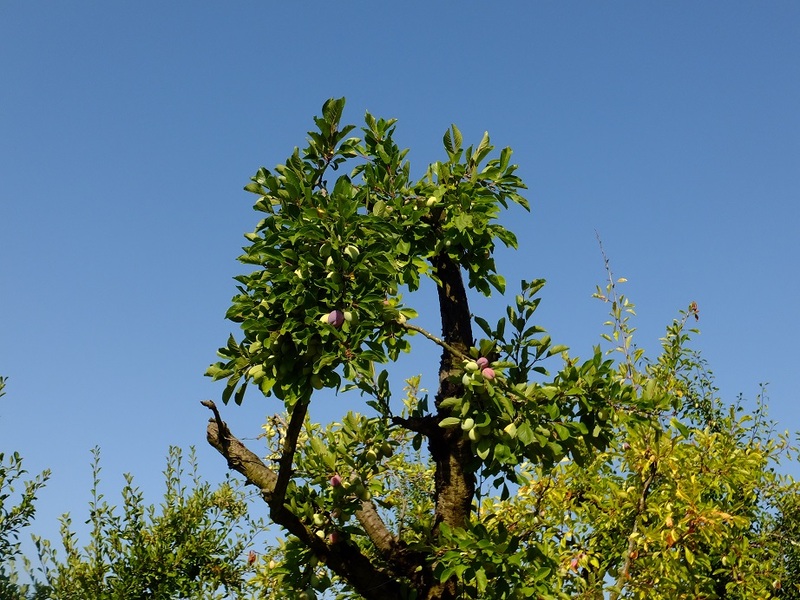 France averages 40,000 tons of prunes each year, with nearly all coming from the Agen area, which includes the Lot-et-Garonne (76 percent), Dordogne (8 percent), Gironde (6 percent), Tarn-et-Garonne (4 percent), Gers (3 percent), and Lot (2 percent). 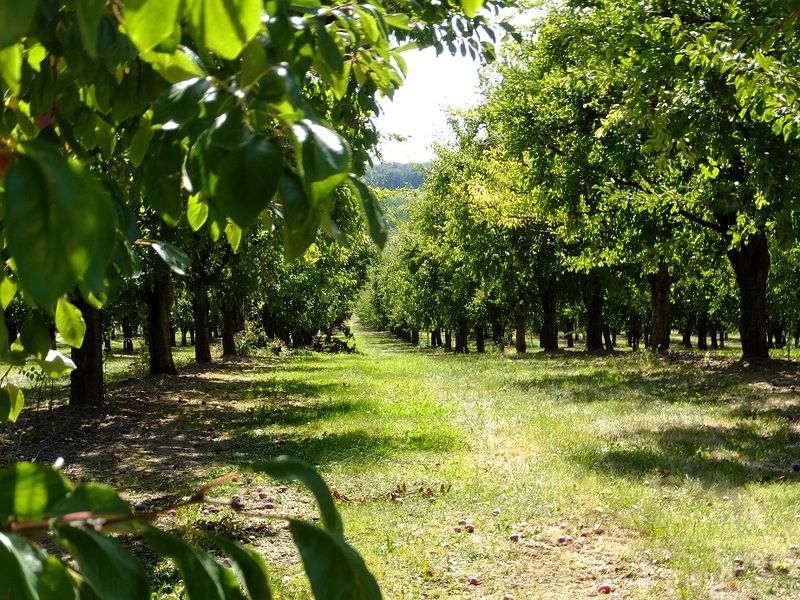 The average orchard size is 10 hectares, and the countryside surrounding the village in which I live is dotted with arbres de pruneaux. 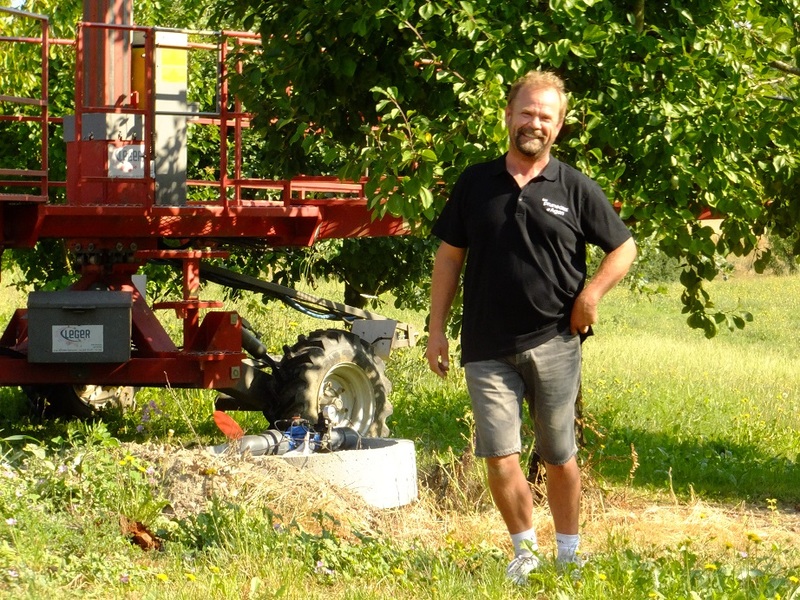 We’ve become friendly with Corinne and Frank Hayer, owners of Les Vergers de Bertounèche in Saint-Colomb-de-Lauzun and we have visited their orchard several times. Les Vergers de Bertounèche has a Véritables Pruneaux d’Agen designation, which means the orchard adheres to strict quality guidelines. Corinne has a “day job” as a high school science teacher where she has summers off. However, growing prunes is a year-round job. The whole family is involved, including their teenagers and Frank’s father (and co-owner), especially at harvest time. Getting the prunes from tree to table, starts with a shake. A shaker and a receiver are positioned under each tree. 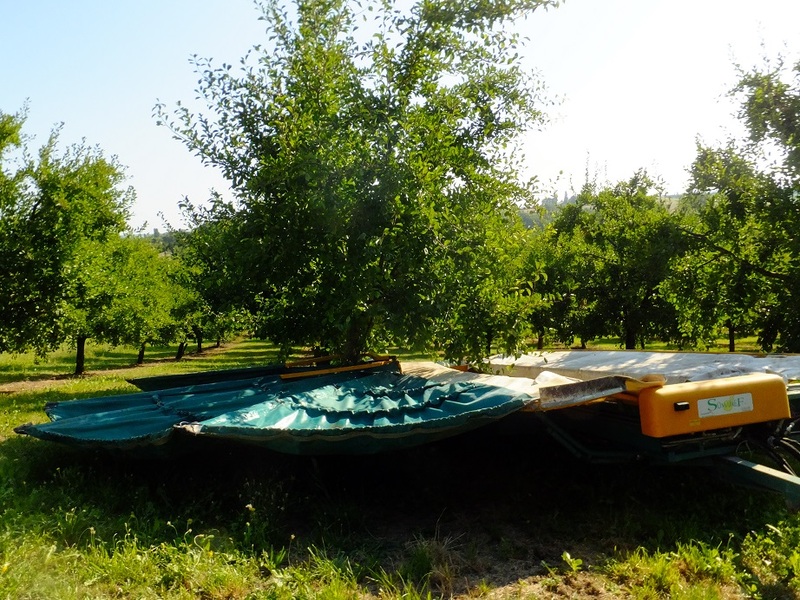 The receiver is wrapped around the trunk and the prunes fall onto its folding canopy. It’s a fascinating process that involves two operators. 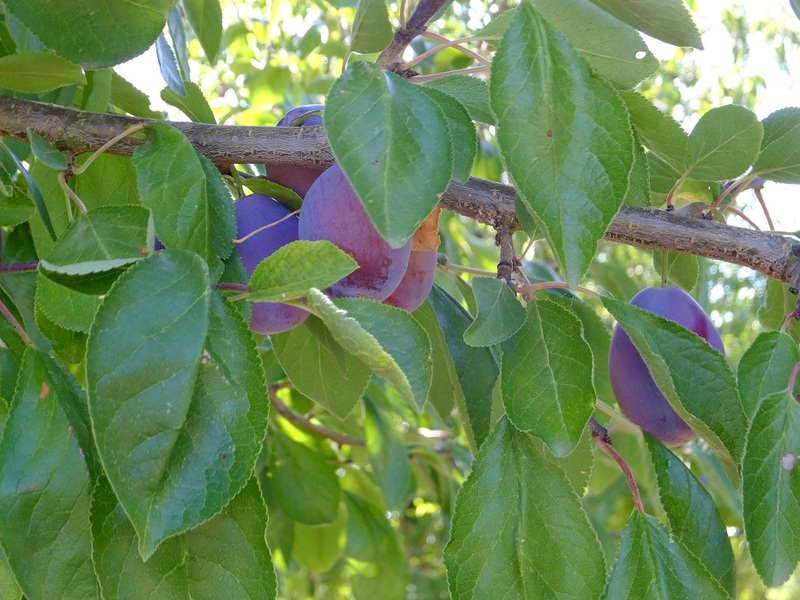 If you happen to be passing by a prune orchard during the harvest, stop and enjoy the show. Prune trees soak up the sun about a month before harvest at Les Vergers de Bertounèche. Equipment, including this receiver, is ready for the prune harvest at Les Vergers de Bertounèche. 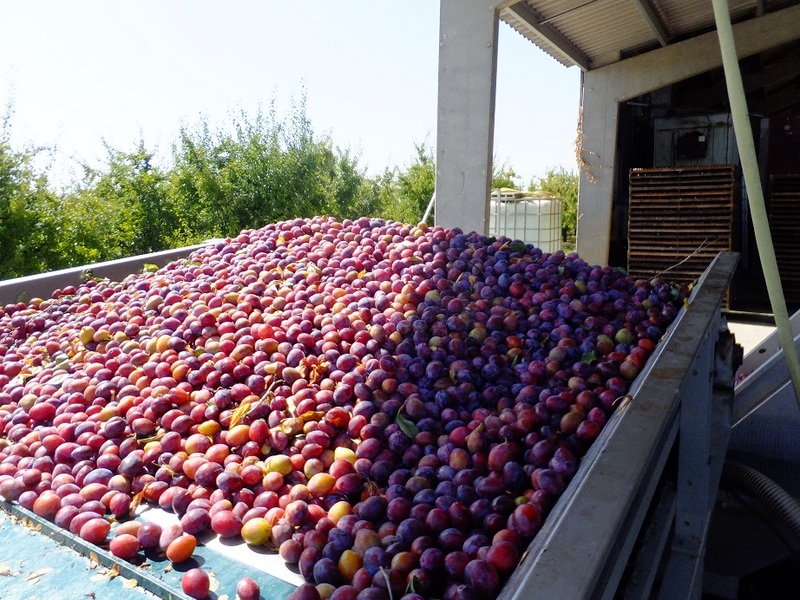 After being harvested, prunes are washed at Les Vergers de Bertounèche. 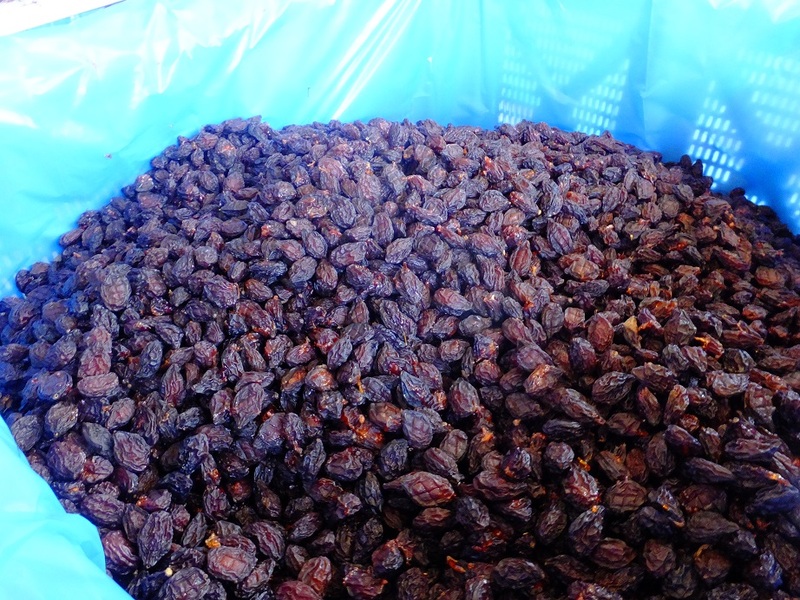 Freshly dried prunes beg to be tasted at Les Vergers de Bertounèche. Next, the prunes are washed and sorted, a task that involves another crew. 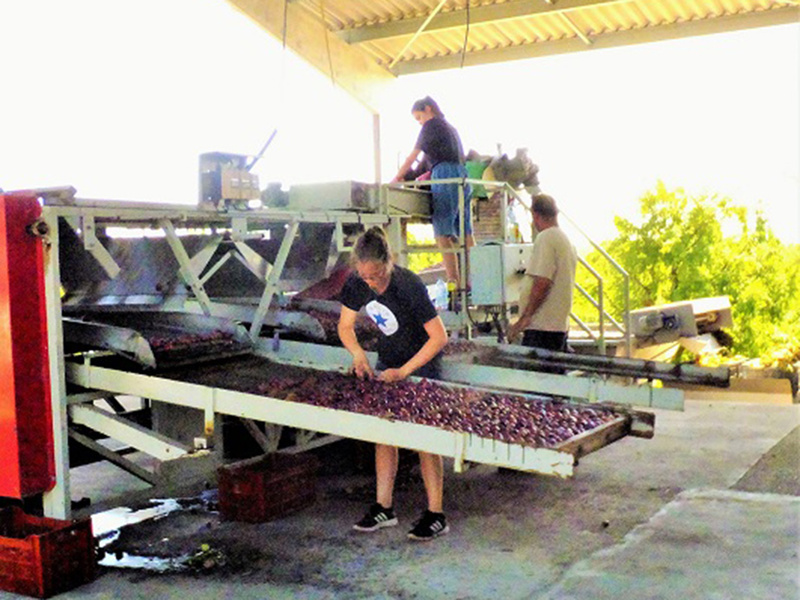 The fruit is loaded onto trays that are then put into a huge oven. 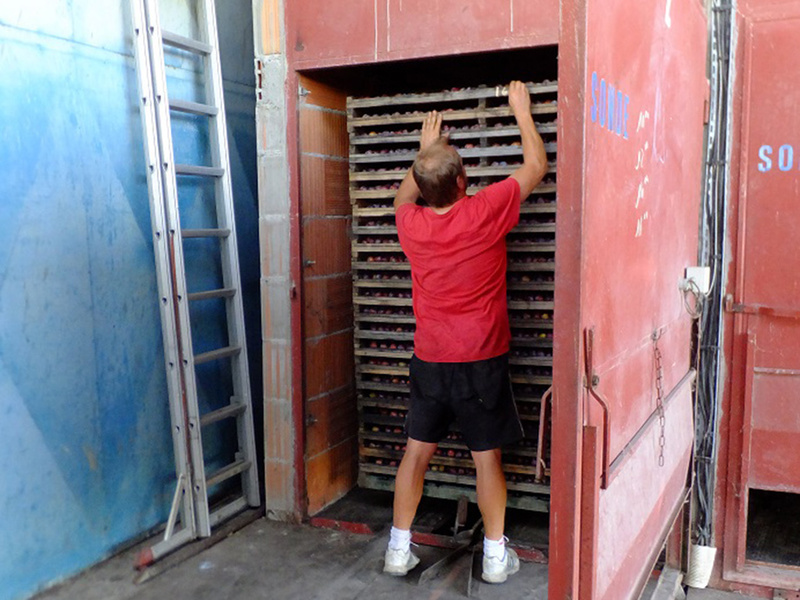 During this stage, Frank will be on hand every three hours to move the carts containing the trays of prunes that have finished “cooking” (pictured below). Some prunes will be soft, others dry and chewy. Some fruit is destined to become juice, pulp or maybe even that potent potable eau de vie. 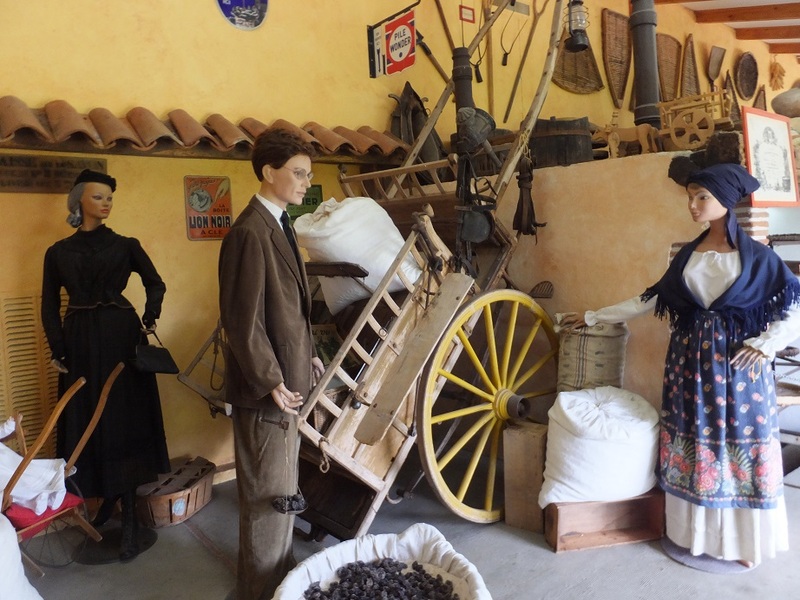 A visit to the Musée et Ferme de Pruneau in Lafitte sur Lot (47) offers visitors the opportunity to see the processing if visited during the harvest (mid-August through mid-September). The quaint low-tech museum – seen below – also provides a history lesson into all things prune.